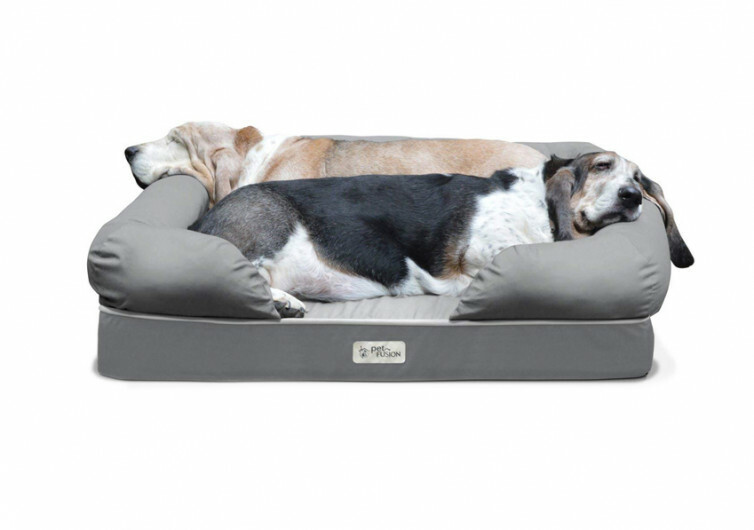 Your canine friend deserves only the best possible bed it can lay its body on. 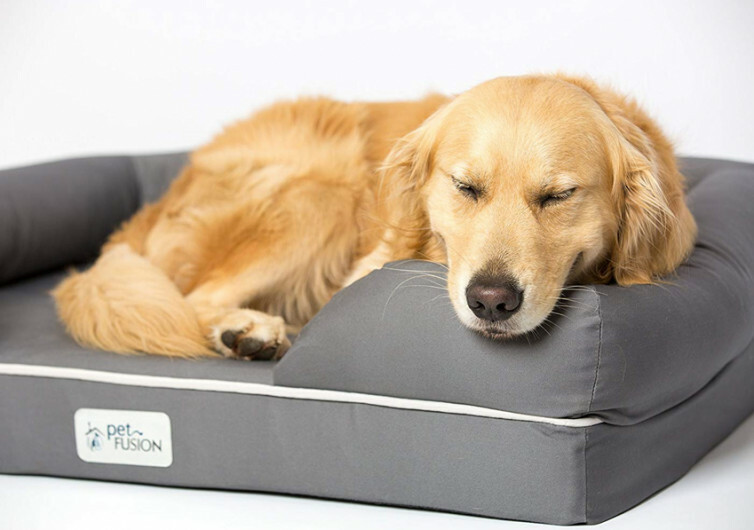 PetFusion’s Ultimate Dog Bed & Lounge may be more expensive than others, but it will give Fido its much-needed comfort and support for aching joints and tired muscles. This is a doggie bed that is solidly built and completed with a bolster edging to take your pet to Cloud 9. 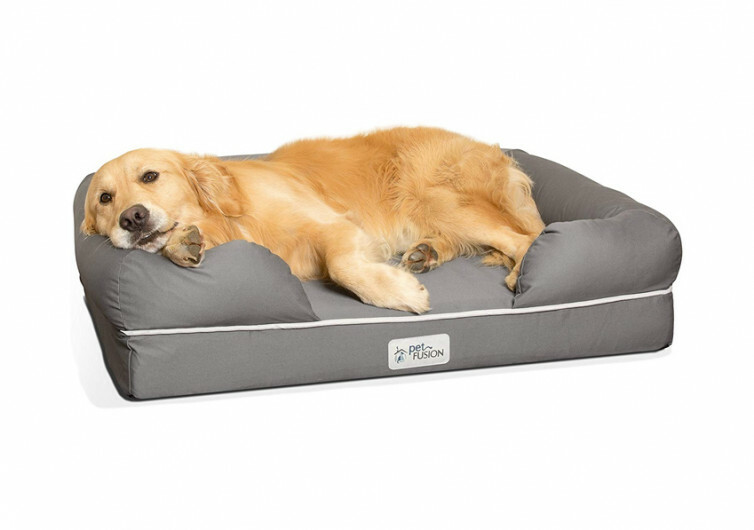 The PetFusion Ultimate features a 4-inch thick solid orthopedic memory foam. It is not the flimsy type of fill you get from mediocre dog beds. The memory foam isn’t shredded, either. Your dog will have a more even distribution of its weight across the bed’s sleeping surface. Many pet parents prefer orthopedic memory foams over conventional fill like ordinary foam. Memory foams provide optimum support for the dog’s body. This reduces tension or pressure on bony prominences while allowing the muscle tissues to relax better. 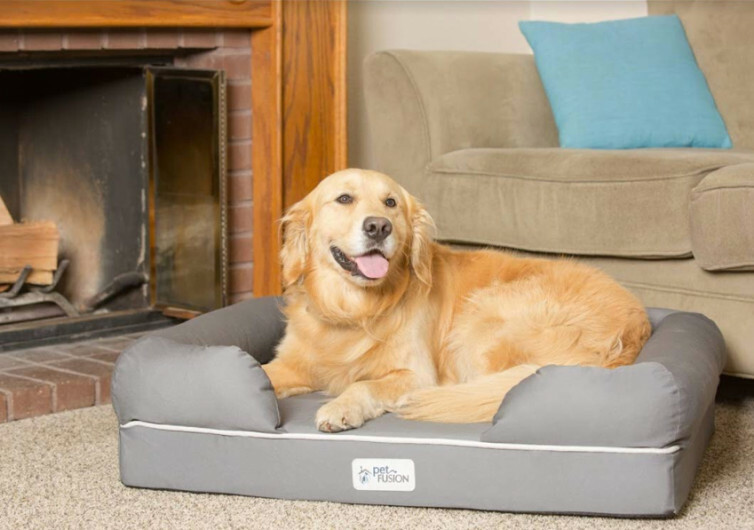 This dog bed doesn’t only feature premium-quality orthopedic memory foam; it also boasts of a thick bolster edging that surrounds the three sides of the bed: back, right, and left. This bolster comes filled with recycled polyfill. It is not memory foam, yet it can give your dog better support for its head and neck. One can always think of it as the dog’s personal pillow. In hindsight, the addition of bolsters helps maintain the near-ideal alignment of the dog’s spine. This can also minimize health problems while promoting optimum spinal health. Protecting the memory foam from spills and accidents is the job of its waterproof liner. It keeps the memory foam dry in case your dog cannot control the urge to urinate. Further enhancing the waterproofing of the dog bed is a water-resistant cover made of cotton and polyester blend. The same bed cover is breathable so your pet will not have any discomfort lying down on the PetFusion Ultimate. Both the bed and the bolster come with their respective removable covers. Once removed, you can toss these covers right into the washing machine. You can wash it by hand, too, if that is what you wish. It is also possible to spot-clean the Ultimate. At the bottom of the dog bed is a non-skid padding. It secures the bed on slippery surfaces, stabilizing it in its place. 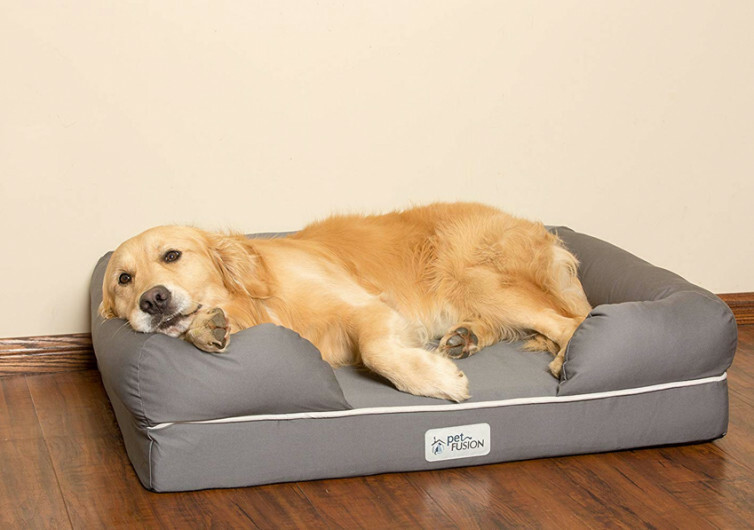 There’s nothing fancy about the PetFusion Ultimate Dog Bed & Lounge. Yet, it is one of the most trusted canine mattresses on the market.